​A day surrounded by love, and to celebrate love. That sort of day is what Shea and Patrick envisioned for their wedding, and, without a doubt, their day perfectly celebrated love. 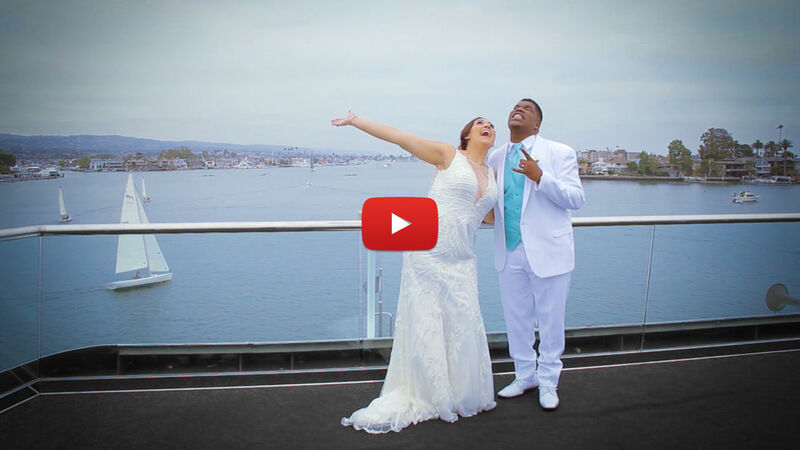 Their wedding took place aboard Electra Cruise's Eternity yacht in Newport Beach, CA. The overcast weather was perfect for enjoying the sights along the coast as the boat sailed. Their wedding décor was filled with snapshots and trinkets of island locations around the world they had visited, or were they would one day. The wedding party was dressed up snazzy and classy. Patrick looked handsome in his tuxedo, and Shea was a beautiful vison in her form fitting dress. They shed tears of joy as they exchanged their vows and rings in front of their close family and friends. I think everyone lost count of just how many tissues they went through. ​"I thought this day was never going to come... and this day comes and it's like a dream come true, and everything you plan and stress about just happens and this is the most perfect day I could ever image in my entire life, and the fact I get to spend it with the love of my life and my best friend in the entire world makes it ten times better." Shea is my cousin and I was so excited to film her and her new husband’s perfect day. It’s wonderful to see her with a man who brings her such joy. Congratulations Shea and Patrick! I hope you enjoy many years of happiness together. Beautiful couple, awesome wedding, may God bless you guys on your life journey!! !